You just can’t keep a good animatronic down. 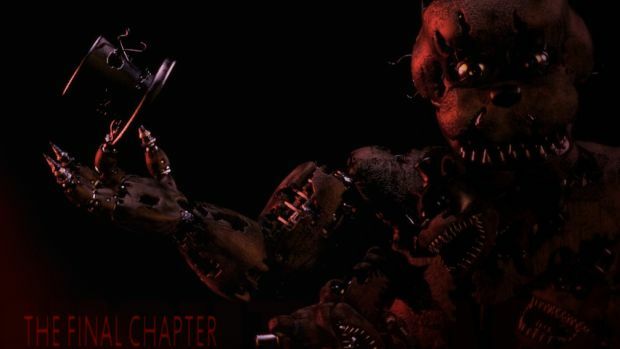 Scott Cawthon already revealed that Five Nights at Freddy’s 4 would be releasing on August 8th but a new trailer has also surfaced showcasing exactly what horrors one can expect. Check it out below. The major twist this time is that you’re not in an establishment or security office any more – the horrors are attacking you right at your home. Whether it’s checking down the hallway, peeking into the closet or even looking behind you at the bed, the demonic cast of animatronics can pretty much get you anywhere. There also appear to be some new additions in the form of smaller animatronics that are no less frightening to behold. Five Nights at Freddy’s 4 will probably be the final chapter in the series but it’s really hard to tell at this point. You can look forward to it on PC, Android and iOS in the coming days so stay tuned for more information on its story.